On March 30, I attended The Garagiste Festival: Southern Exposure in Solvang, a two-day wine event celebrating cutting-edge small-production winemakers in Santa Barbara and San Luis Obispo counties. These artisans buy premium local grapes or grow their own; they have a modest space to handcraft the wines; most don’t have wine tasting rooms, but some do pour by appointment in the winery. One thing’s for sure: They all have websites to sell their wines. “We support and help develop high-quality, hard-to-find, small-production winemakers,” said Doug Minnick, co-founder of The Garagiste Festival. Each day of the event, a couple dozen outstanding wineries poured their new releases. The images here represent a compilation of my favorite wines from Day 2. One final note: The Garagiste Festival is a great opportunity to taste dozens of local wines in one setting and learn to about each wine from the winemaker or winery owner. Organizers are planning the next Garagiste Festival for Nov. 6 through 9 in Paso Robles. The event’s website is garagistefestival.com. 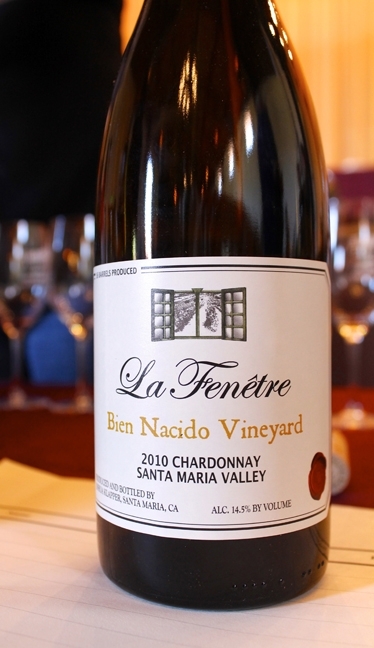 My favorite wine from Day 2 of The Garagiste Festival was a new release: the luscious 2010 La Fenêtre Chardonnay from Bien Nacido Vineyard ($36). Floral, expressive, and creamy, this wine is beautiful. “The 2010 harvest was cool and extremely pure, allowing for a clean expression of the varietal,” wrote winemaker Joshua Klapper, who handcrafts his excellent chardonnays and pinot noirs in Santa Maria. “Artistic expression is the window to a person’s soul.” La Fenêtre is French for “the window.” There have been 365 cases produced. Winery website: lafenetrewines.com. The 2013 Desparada “Fragment” Sauvignon Blanc ($23) is made from grapes from two different vineyards: Presqu’ile in the Santa Maria Valley and McGinley in Santa Ynez. This wine is crisp, fresh, and balanced. 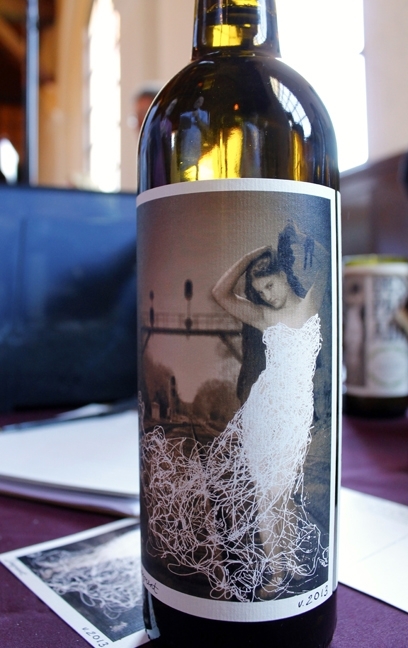 The Paso Robles-based winemaker is a woman named Vailia Esh. Her exotic tasting notes for this wine read, “Crushed oyster shell, sweet lime, lemon seltzer, Red Pine needle, clove spiked orange. Fresh, dry exuberant.” Production amount: 678 cases. Winery website: desparada.com. 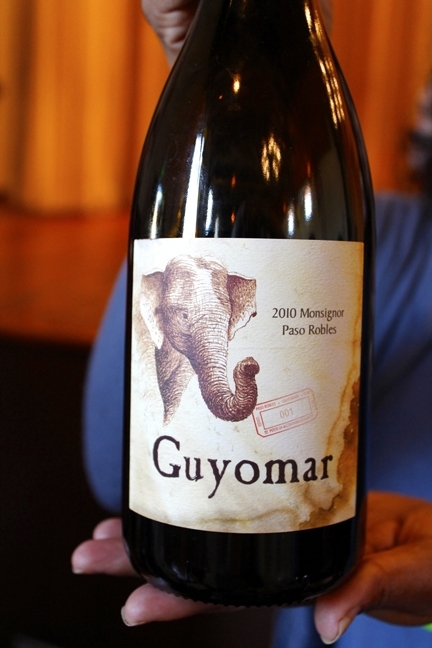 Guyomar Wine Cellars in the Templeton Gap poured its first vintage at the festival: three impressive red blends made by respected winemaker Steve Glossner. The complex “Monsignor” ($52) is a blend of petite sirah, zinfandel, syrah, and grenache. The label is striking. “The elephant on the label was created to reflect our Asian heritage, but also the importance of family,” explained co-proprietor Mareeni Stanislaus, M.D., a Templeton OB/GYN. “Elephants are a matriarchal society; they don’t forget easily. We take care of our own, and understand the importance of family and developing a business and a brand and a life.” Production amount: 375 cases. Winery website: guyomarwine.com. 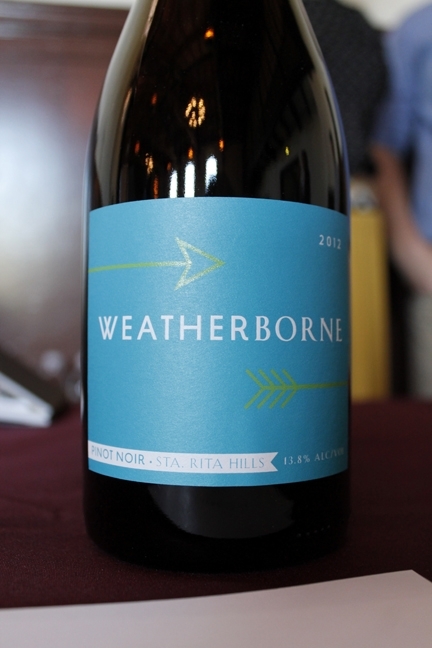 Winemaker Cris Carter’s first release under his Weatherborne Wine Corp. label is a lovely 2012 Sta. Rita Hills pinot noir ($35), bright with raspberry and spice. The Garagiste Festival was his first official pouring, outside of his circle of friends. 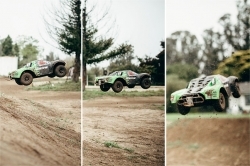 Carter studied enology at UC Davis and flying. “Although I got very close to my commercial pilot’s license, I couldn't leave the wine world behind,” Carter said. He worked harvests around the world, was assistant winemaker at Penner-Ash Wine Cellars in Oregon, and now his new wine project in Santa Barbara County is starting to soar. Production amount: 224 cases. Winery website: weatherborne.com. 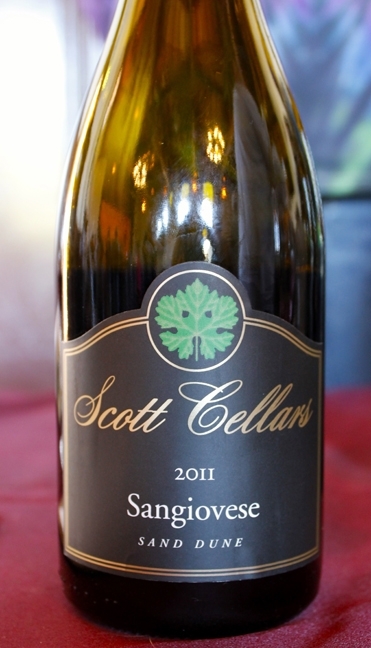 The Scott Cellars 2011“Sand Dune” Sangiovese ($35) is made by enthusiastic owner/winemaker Peter Scott Fraser. It’s very drinkable, with aromatics of cherry and leather. The grapes are sourced from the sandy White Hawk Vineyard in Los Alamos. That’s the sangiovese leaf on the label. Fraser specializes in high-end, California-style sangiovese. “All the wines are big, full, rich versions of each varietal and blend,” Fraser wrote. Production amount: 1,000 cases. His tasting room, at 316 North F St. in Lompoc, is open Friday through Sunday. Winery website: scottcellars.com. Nicora Winery in Paso Robles specializes in Rhone-style wines. 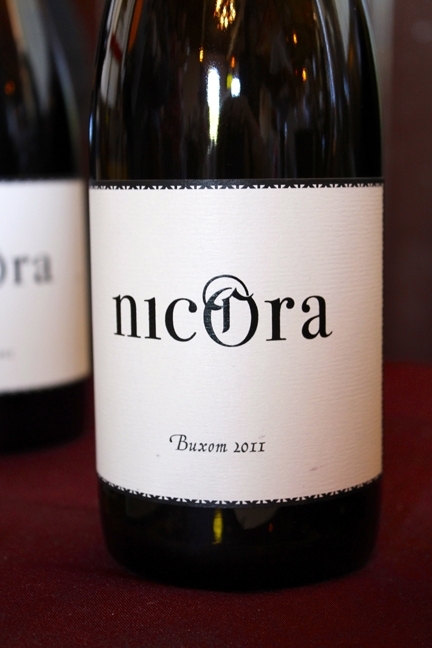 Nicora’s 2011 “Buxom” is a blend of 94 percent syrah and 6 percent grenache ($48). Grapes are sourced from vineyards on the west side of Paso Robles. Winemaker Nick Elliott wrote that “licorice and lavender are prominent, along with a smoky note” in the tasting notes for this wine. “It has a finish of dark fruits that resemble blackberry and plum. It should easily age for 7 to 10 years.” Winery website: nicorawine.com. Contact columnist Wendy Thies Sell at wthies@santamariasun.com.